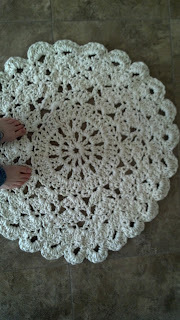 Start of my doily rug! This rug works up really fast! 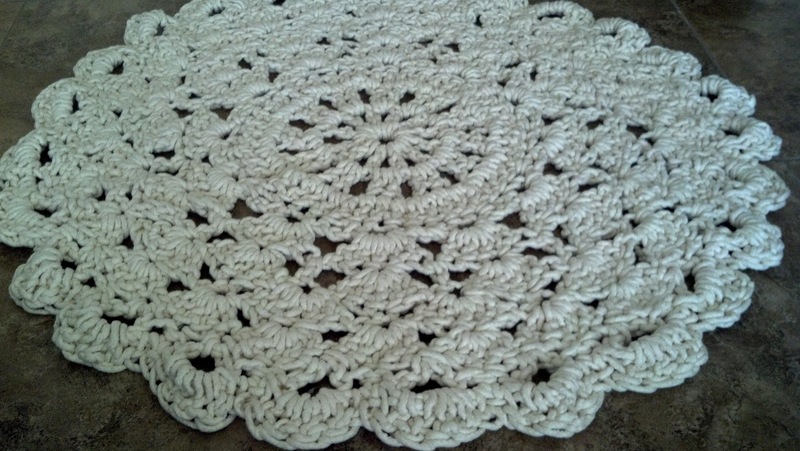 I used this Pattern with some minor changes to make it a full 36 inches in diameter (see below) and found the Cotton rope here, although after doing some more looking I found it for much cheaper on ebay. 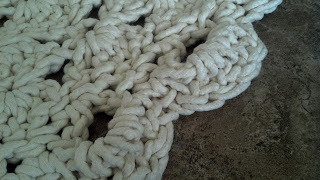 The rope is called Cotton welt cord. I am going to get some dye and most likely die this dark brown, I have young children and cannot see whit lasting very long! I found this original tutorial on The Craftytortoise blog and wanted to share my changes. After the last row on the pattern followed I sc 1, Dc 4 on ch 3 sp, *sc next 2 sp, dc 4 on ch 3 sc* repeat ** all the way around, end with 1 sc next to first sc at the start, ss to end and fasten off. To weave in the end tail I used the hook to pull the tail under and through about 8 stitches, then wrapped it around the back of 1 st and pulled it back through the same 8 stitches again, just wanted to be sure it was not going to come loose. Such an awesome idea! I love it! I can't wait to try it. 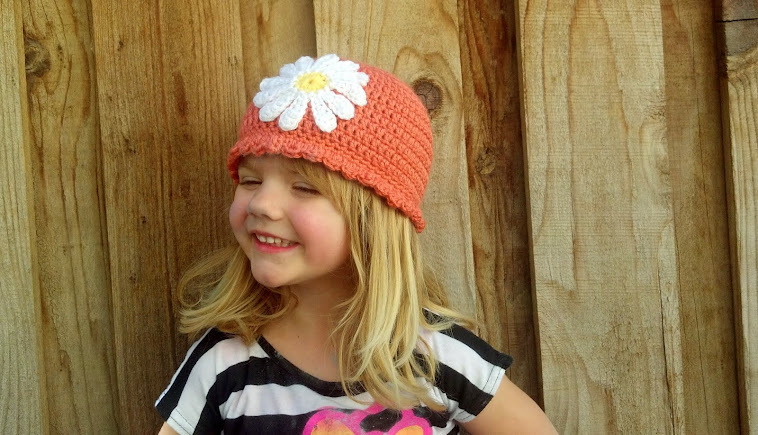 Question: How much cotton cording did you use in total? How many yards? 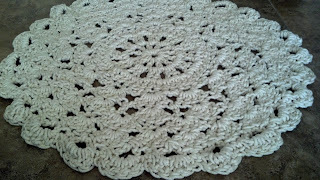 I used about 180 yards or cotton cord. I would buy close to 300 though just to be safe and make sure you can make it as big as you want. Next time I want to make mine bigger!!! Hi! Love your rug. I'm curious, what size of cotton cord did you buy? It looks like it's more affordable than what I've been using. Where do you get a size S hook? 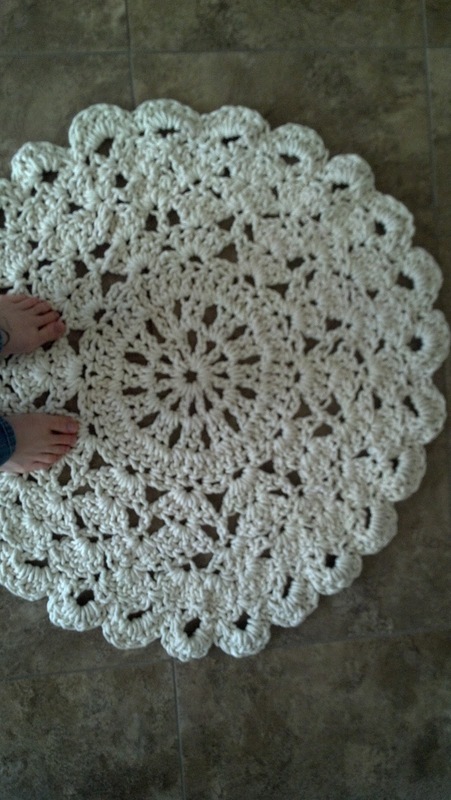 I can't even find a size Q.
I just ran across this today, and it has made my day to see you've made a rug using my Gemstone Doily pattern! I may have to try it. ;) Have a great day! 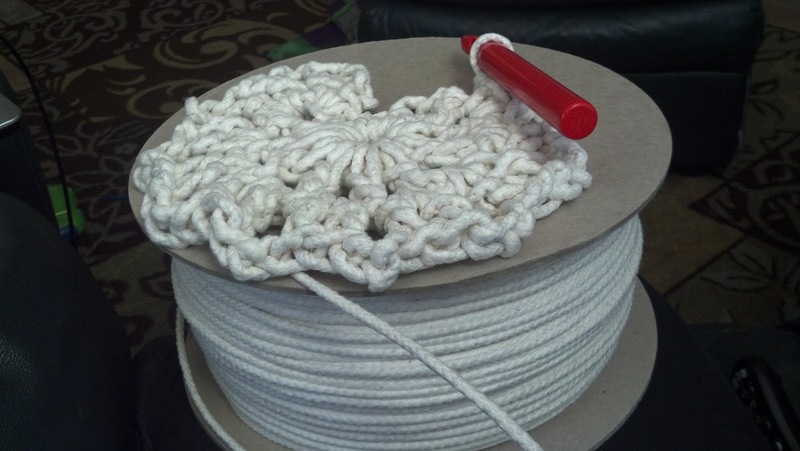 What size cotton cord did you use? Hi Kim... I stumbled upon this site and started making this rug this evening. I am using 3/16" cotton clothesline. 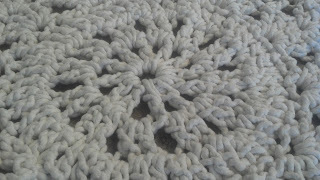 I would HIGHLY suggest trying the 5/32" cotton cording. My arms, wrists and hands are killing me with the thickness of this stuff. I know 1/32" of an inch is pretty minimal, but the cotton welt cording is so much easier to work with, plus that teeny bit of width actually makes a difference! That's just my 2 cents!! Happy hooking!